Yes, I want to be a Flower Basket Sponsor! The Florence Area Chamber of Commerce in partnership with the City of Florence are pleased to present the beautiful flower baskets through out Old Town. 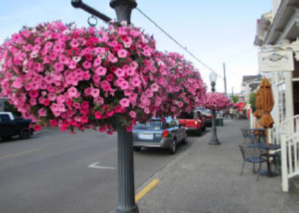 These flower baskets are sponsored by local business and residents. If you would like to be one of our prestigious sponsors you can purchase your sponsorship by clicking on the ticket link below. We appreciate your support!